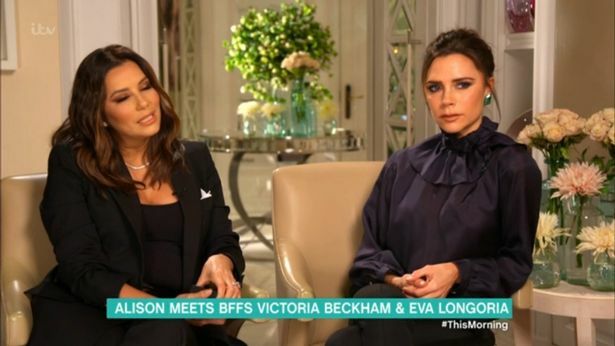 Her nickname may be ‘Posh’, but viewers of the ITV’s This Morning, were left seriously unimpressed by Victoria Beckham’s ‘snobbish’ attitude during an interview with Alison Hammond on yesterday’s show. Taking part in an interview with best friend Eva Longoria, Victoria made a comment that didn’t go down too well with fans and viewers. Alison asked the pair what gifts they would love to receive this Christmas, to which they both replied: “art and wine”. The interviewer then went on to ask what they would spend their very last £10 note on if they had to choose something in particular. Eva admitted that she would opt for avocados or wine, however, Victoria didn’t seem too impressed by her bestie’s answer. “Wine for a tenner?? I don’t think you’d like it.” she told her. So it seems Becks will never be jumping at the chance to purchase a bottle of wine if it’s priced at a reasonable £9.99, as perhaps many of us would. “We’re both alcoholic art-lovers,” Eva joked. It’s no secret that the Beckham family are well-known wine lovers, meaning they’re bound to have extremely expensive taste when it comes to choosing their ideal beverage. In a recent Instagram post, Victoria shared a snap of three wine bottles which were said to come at a ridiculous price of £2000. Apparently, the Victoria and David had bought the small selection for a chilled-out midweek evening, rather than a special occasion as one may expect. During the interview, Alison also questioned Victoria on whether a Spice Girls reunion would ever be on the cards. So it seems the answer is a ‘no’ for now, but let’s hope it’s not a ruled-out possibility for the future. Yesterday, viewers of This Morning also watched the show descend into chaos as it suffered a live blip. The show stopped in its tracks as it was pulled off the air, due to a ‘technical difficulty’. Holly and Phil were in the midst of chatting to guest Ben Fogle when the error occurred. Whilst the issue was being worked on by experts, a blank screen popped up, accompanied by the message: “Greenwich Date Centre Switch” and later, “We’re sorry for the disruption”. Viewers were left twiddling their thumbs, wondering whether the show would be back on their screens for the duration of the morning and the broadcaster couldn’t apologise enough for the unprecedented error.“We are sorry again for the disruption. We are were working hard to fix the issue and hope to return to This Morning as soon as we can.” he said. Luckily, the show finally did return and Holy and Phil also apologised for the inconvenience. The pair had been having a few laughs during their time off air, updating concerned viewers via Snapchat to give a bit of an insight into the chaos backstage. The co-presenters confessed that they had been unaware that the show had been suffering a technical issue and had carried on with the live segment – despite the fact that no-one had actually been watching – awkward. Another added: ‘I think the government are behind it’.